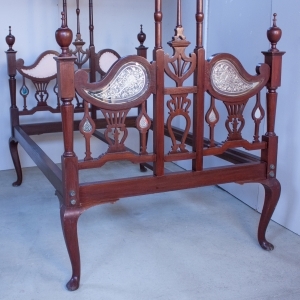 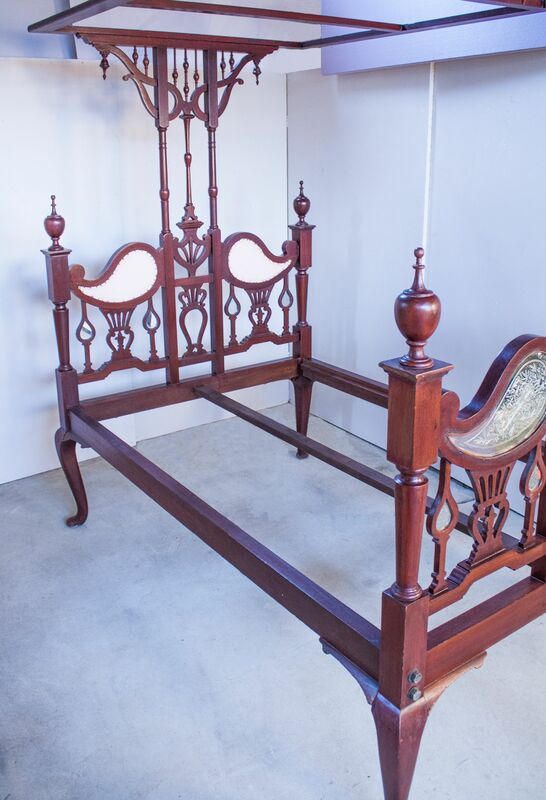 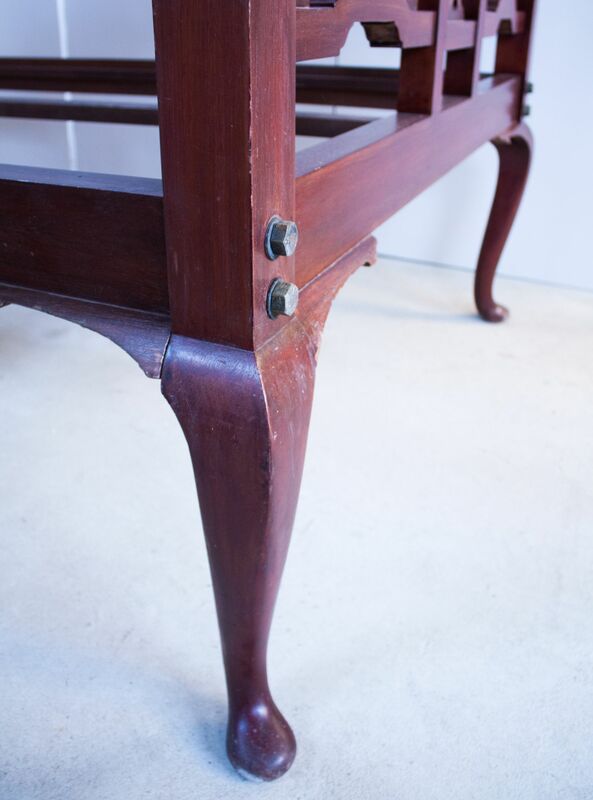 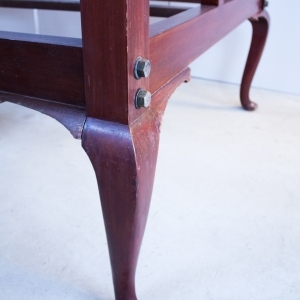 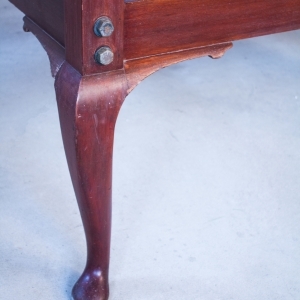 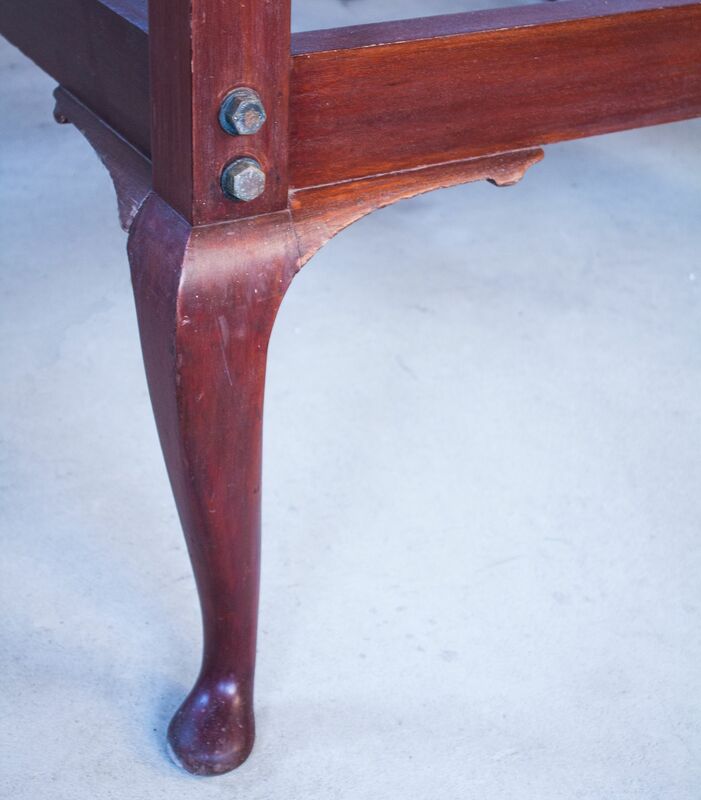 A richly toned mahogany bed with tester from northern India, circa 1930. 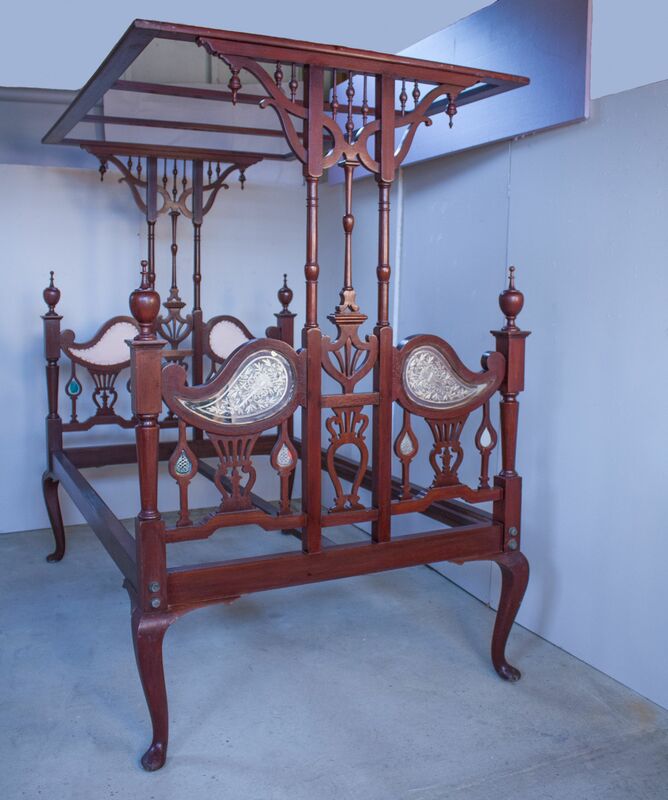 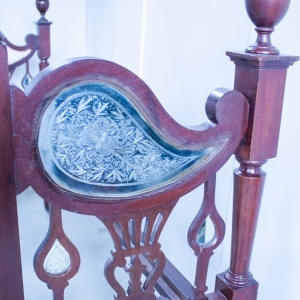 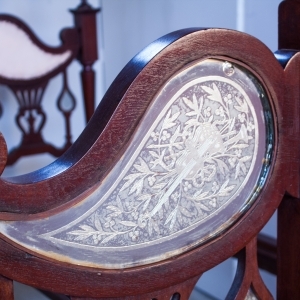 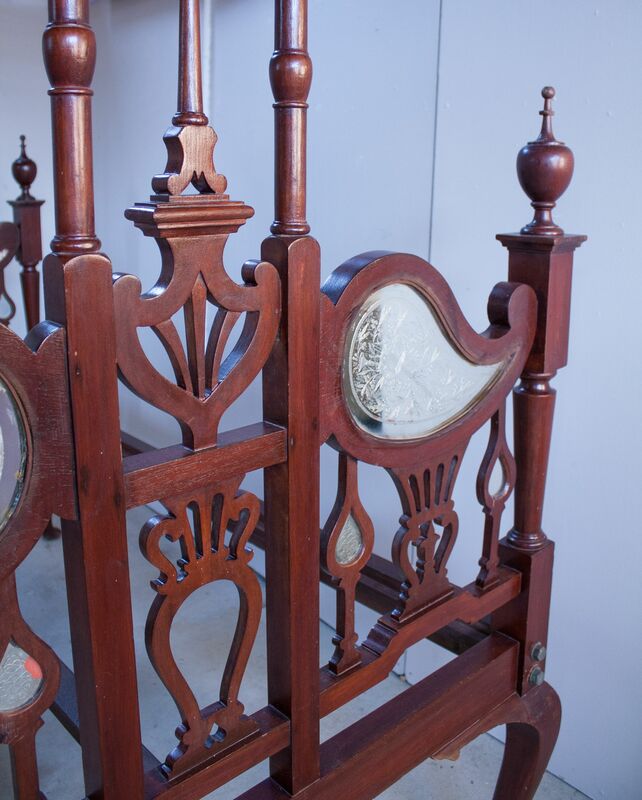 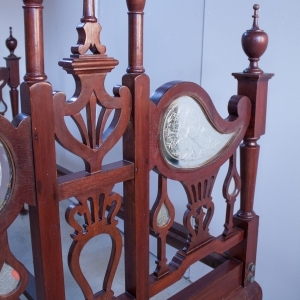 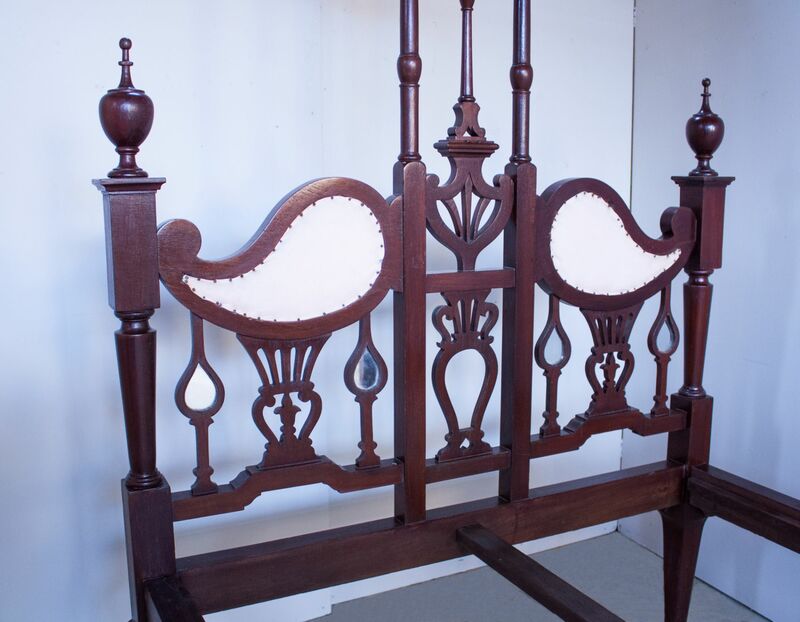 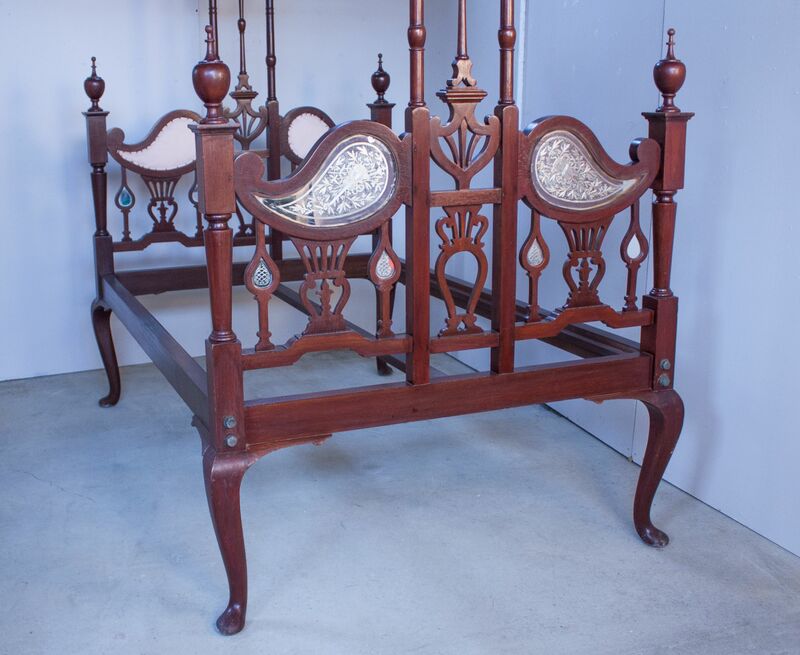 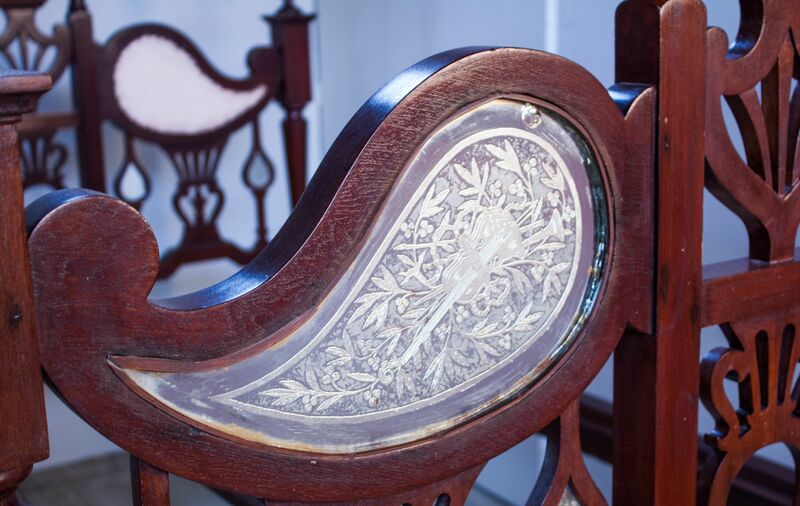 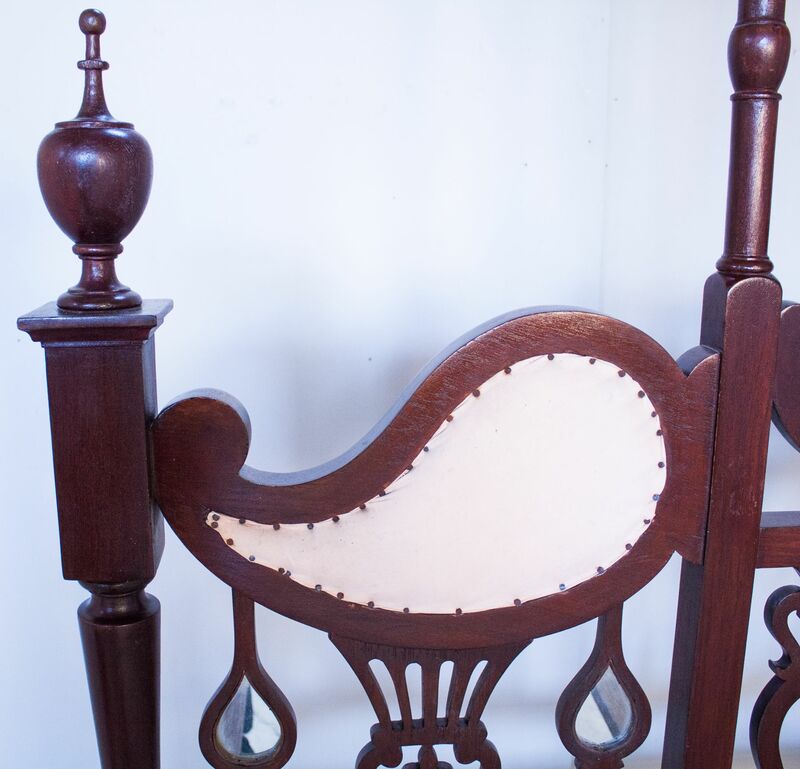 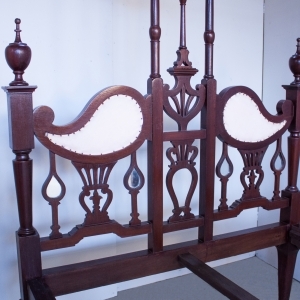 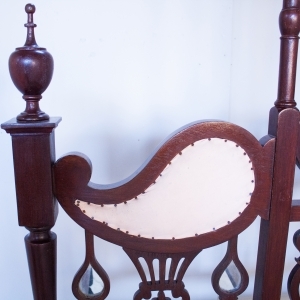 The intricately carved frame has mirrors reverse etched with musical instruments on the outside of the head- and footboards and upholsterly on the inside. 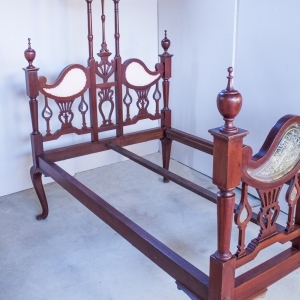 The bed frame comes with support slats (not shown) and accommodates a 52" x 77" mattress.